I work on a bluetooth connected medical device and have been using that library to do most of the bluetooth stuff. However, you must detach the expo app to get it working and the setup is non-trivial. It would be nice to have a bluetooth API built into the expo SDK. Amazing stuff, will the bluetooth work in the background? since we have task manager in Expo now. Would be great if it work with beacons! Since this is a simple app, and I don't have any native app development experience, I think this would be an excellent use case for Expo! @Evan Bacon Thank you so much for working on this! Any chance this will be done in the next month? My guess is no, just wondering. Hi there, this is a great add to Expo, we're working on a new project that needs Bluetooth connectivity. 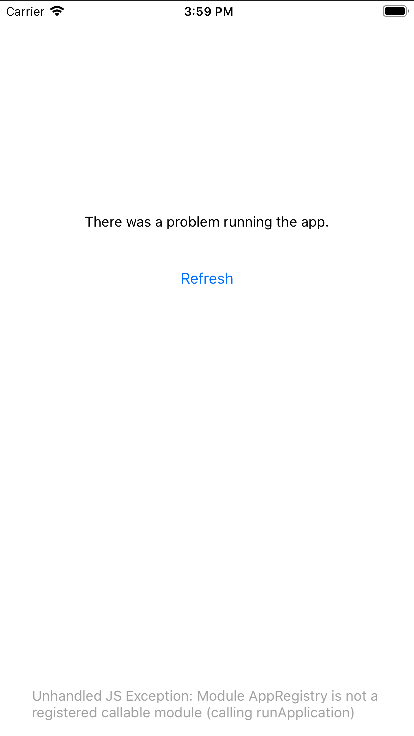 Can you tell us if this its going out soon or should we start detaching our app? Any ETA / SDK target version? @Evan Bacon do you have any update on the progress of this feature and when it will be available? I need to add bluetooth support to my app but am holding out for this! @James: This one will take a bit. I'm finding it difficult to get Android working consistently across devices. We have another very pressing feature that I need to complete this month, so I'll probably spend the majority of my time on that. The new unmanaged workflow is pretty incredible, we'll be officially rolling it out pretty soon, that would be the best solution for getting BLE working in the near future. I have a BLE PR open https://github.com/expo/expo/pull/3131 if you want to follow the progress. All of our client code sits on top of the aforementioned library. The only issue that persists is iOS somehow caches device IDs/descriptions, but otherwise works well for our use case. @Evan Bacon good luck man. I built a native integration for a c++ engine back when BTLE was first introduced - i hope ios and android have improved their implementations since then. @Mark Gabriel has some good points in his comment. I'll add that testing both server and client on the same device in the same "session" would be good - there was a lot of funky behaviour from my memory. Also obviously testing different versions of OS and devices - i saw lots of differences between iphone and ipad and iOS versions some were able to connect with android devices and some weren't. Likewise some were able to listen and connect in the background and some weren't. I think it also had differing results if you let the device screen lock itself vs locking it manually and possibly if you were on the home screen vs in another app. Fab! I have just release a production app that has a lot of BLE functionality (see podtrackers.com) or "Pod Trackers" in app/play stores. I'd be happy to share code for reference. 1) Reliably connecting to a device and staying connected... It would be great if this was done in the native layer! Having to catch disconnects, remembering deviceIds, reconnecting, etc etc, seems like this is all boilerplate BLE code. Also when Expo reloads it would always break the connection in a way that you could not rediscover a device unless you rebooted it. 2) Integrating the BLE with React/Redux best practice. Does one treat the device like a server API? How does the changing data update the views etc. What if you have multiple devices or background tasks? @Mark Gabriel: Thanks for your help. I would like to ask you how did you implement DFU in the app? We need to update the firmware from the app and currently we are using the https://github.com/Pilloxa/react-native-nordic-dfu. Do you know if there is a way to use expo and still have this functionality? @Andrei Zgirvaci: Every hardware manufacturer is different.... We sse a Ublox Cell chip with has a function to download the new firmware "Over The Air". You then need a boot loaded program to switch between versions N and N+1 or rollback if somethings goes wrong! @Mark Gabriel: Great info. I would like to see how you implemented the SPS & reconnect chains. If you have any code around those to share I would be excited to see it. It would be great is anyone has any examples of React Native apps that they've built with Bluetooth functionality. I've found that all of the existing React Native Bluetooth libraries are not very easy to work 🙃 Because of this I'll be writing a new one from scratch which hopefully cuts down on all of the needless complexity. This would be a hugely useful feature, especially to allow two devices running an Expo app to communicate with each other. @Evan Bacon What does "under review" mean? Are you deciding if and how you should build it? +1 This would be a huge add to the framework. Under review?? @Evan Bacon any PR to track the progress? It would be awesome for IOT integration with Bluetooth and BLE devices such as the Raspberry Pi. +1 This is so needed for pretty much anyone wanting to use Expo with hardware. This feature for sure must be added, please! I struggled and wasted a lot of time on detaching expo. +1, this feature is a must have. When warehouse workers use our ecommerce ERP app, we want them to be able to print shipping labels to handheld bluetooth printers. +1 I also would love this feature for our personal health device. I feel like ive been waiting forever for this. Any update? @James: +1 Expo, any ETA on this? I'd like to also add that you guys should probably follow the Web Bluetooth spec if possible. I am surprised that no one has given any mention of react-native-ble-manager. It has more features like automatic write data splitting when the data you're writing reaches a specific size, bonding, doesn't have a super complicated setup process, doesn't take 1 million years to npm install, and most importantly, being able to read and write in byte arrays instead of annoying base-64 strings. Yes would really love to use Expo as opposed to detach my application. Yes! It would be so much easier if there was an API in expo for bluetooth. @Adrian Carolli: can you make it as a tutorial video? I would really need this feature too. I guess I'll have to try and detach from expo and use Polidea's library. @John Slemmer: Oh yes I spotted that and forgot to delete. Thanks. I really hope it's soon. @Mark Gabriel: Mark what have you used instead? I have android working on low energy but I cant find any IOS working examples ..
Any news about the bluetooth API in expo?? we have an expo project ,and we need bluetooth feature. But you know, exp project is incompatible with the “react-native-ble-plx” package. So we detached the expo to exposit. Then we can configure the expokit as described in https://github.com/Polidea/react-native-ble-plx. But it runs ok on android, but failed on ios. Then we have to drag “node_modules/react-native/Libraries/WebSocket/RCTWebSocket.xcodeproj” again to solve the problem above. The expokit can run successfully both on iOS and android before importing the “react-native-ble-plx”. And after importing the “react-native-ble-plx”, it cann’t run on iOS but on android. @Zander-Zhang: See my article on how to get this library to work on iOS: https://blog.expo.io/so-you-want-to-build-a-bluetooth-app-with-react-native-and-expo-6ea6a31a151d specifically step 5 of the iOS setup section. Working on a fitness app where bluetooth is a must but would really like not to have to detach from Expo. Lovin it. Would absolutely love this! :) It's the sole reason I can't use expo in my project. I think for developers that work with hardware, we need bluetooth support. It would be great if this is part of planned progress by Expo. hi @Adrian Carolli, do you use https://github.com/Polidea/react-native-ble-plx in production? have you ran into big issues using the library? i'm gonna start a new expo project and will require BlueTooth, any ideas? @Adrian Carolli: I try to use react-native-ble-plx on expo, but got a error: "TypeError: undefined is not a constructor (evaluating 'new _reactNativeBlePlx2.default()')". Can you help me to fix it? Or can you share me a usable simple expo project which is using react-native-ble-plx? The source code is necessary for me. @Benjamin Lin: as I said before, as today u CAN'T use react-native-ble-plx on expo. If you need it use a pure react-native stack. @Diogo Vianna: Thank you. I have been thought that I can use it on expo now. Since there has no much time for my project, I will try to detach expo this time. @Benjamin Lin: You can use expo but you need to detach expo. Did you get it working? @Adrian Carolli: Yes, I have detached expo, and it works fine. After expo provides Bluetooth API, I think I will back to expo/XDE again. @Adrian Carolli: what does it mean by detach expo? im new with expo, so i dont really know much, is it creating a new project without expo? I also need bluetooth for my project! This would be amazing! We were gutted today when we found out we'd have to detach from expo for our new project, we need bluetooth to verify the user with our clients devices (bluetooth at their request). I need this in a big project also. The app would be receiving data from a hardware device, visualising it and also sending it up to an API to store in a database. Would be awesome to have this! Is there anything that makes this difficult to add to Expo (apart from available time and resources)? I want this. Phone is a great controller for some devices. I am working on a React Native app that uses Bluetooth to transmit credentials in order to pair to a Wi-Fi network, and I'd love it if Bluetooth were supported in the Expo SDK. Yes i am also looking for bluetooth support.Do you guys know that they are working on? @Bikram Basnet: EDIT: Its marked as planned but no one is actively working on it yet. I am working on a bluetooth connected medical device as well, and have just started using expo. I saw this polidea library, but would love to not have to detach expo app if possible.